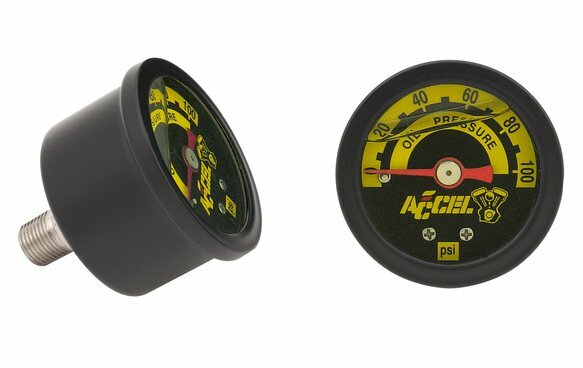 ACCEL's new 1/8" NPT rear mount Oil Pressure Gauges are premium quality all the way. The housing is stainless steel, finished off with a smooth black anodizing that looks great and is incredibly durable. Solid brass internals are bathed in a vibration damping glycerin for the ultimate in accuracy. 0-100 PSI applications.